The Rakow Group offers a range of services in the field of commercial real estate. We pride ourselves on our ability to exceed the expectations of our clients. The longevity of our presence as a business in the competitive market that is Westchester County commercial real estate speaks for itself. No matter whether you’re a prospective tenant, owner, or buyer, we can help. Here is what you can expect from us with regards to our commercial property for lease, to buy, to rent, or to sell in the counties of Westchester and Fairfield. Many people do not fully recognize the extent of their rights as tenants. Sometimes property owners will take advantage of aspects of a lease that put tenants at a disadvantage. That’s why it’s important to always read the fine print of a lease before signing. Moreover, once a lease expires and the time comes to either move on or renew, there’s always the opportunity to renegotiate the terms. Rakow will guide you to establishing terms for your lease, whether it’s for a renewal or a new lease. With our help, you and your business can flourish. Whether it’s part of a relocation process or the opening of a new business, our consulting services for lease negotiations will help save you money and headaches with your landlord. Just as we believe that tenants deserve professional guidance, such is also the case for the property owners. Landlords must place a lot of faith in their tenants. At the end of the day, landlords have every right to want to establish certain terms that create incentive for their tenants to do their part in maintaining the property. In order to do so, owners must know the intricacies of what is and isn’t plausible and fair to include in their lease. 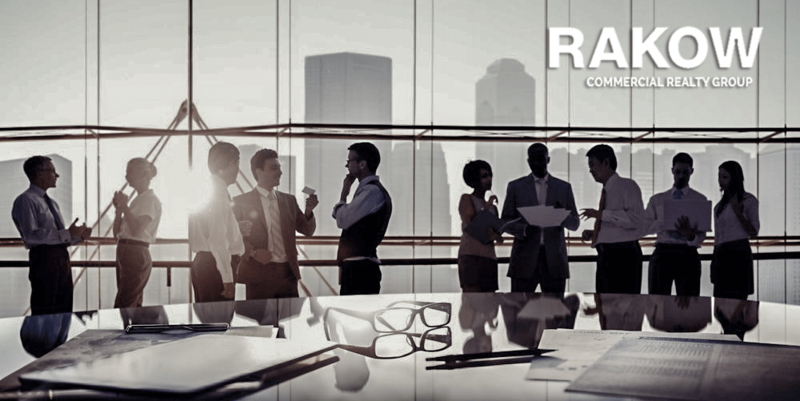 Rakow Group will consult property owners and also accelerate the process of finding prospective buyers and renters with our top of the line commercial real estate networking services. There’s a lot of weight that comes with the purchase of commercial property. Poor research and a lack of background could leave you deeply in debt with no sign of leasing or reselling for profit. On the other hand, with the right team working with you, you can find the perfect property for your company. Whatever your commercial property acquisitions may be, our 30 plus years in the business leave us well equipped to respond effectively. If you’d like to learn more about the Rakow Group’s services in commercial property for lease, to buy, to rent, give us a call today at (914) 758-0220.